Being on eventbrite makes you special. That is why www.reliva.in brings this Exclusive Offer for you! Your Shoulder and Neck hurts! Unable to lift your arm without feeling the pain? Can't comb your hair / Cannot access your wallet from hip pocket? If you have any of these troubles, then this Shoulder Special Saturday Offer is just for You !! 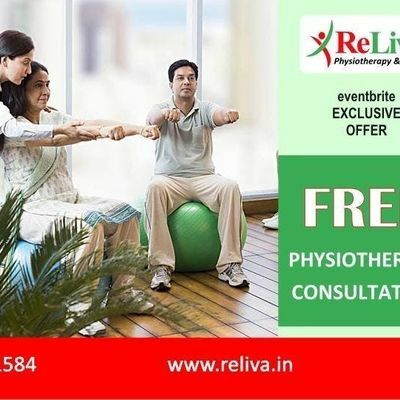 ReLiva Physiotherapy specialist will conduct a series of tests to assess and identify the exact cause and source of your pain, based on which the line of your treatment will be finalised. They will discuss the treatment plan and the expected recovery time with you. 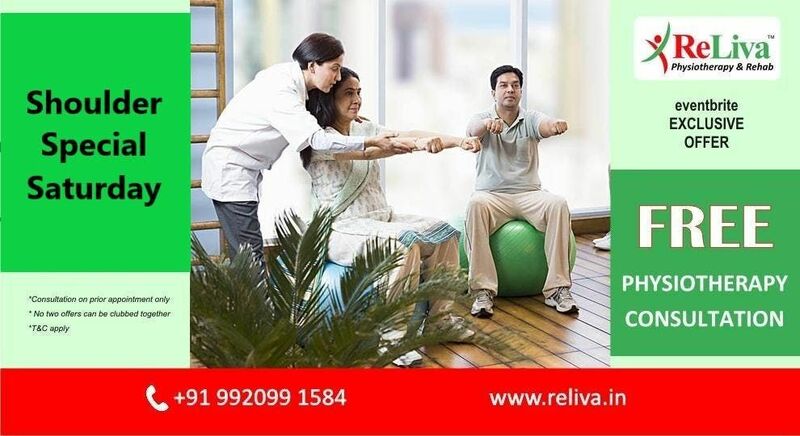 For subsequent treatment, therapists at ReLiva use a combination of modalities, specialised techniques and therapeutic exercise therapy to ensure your complete recovery. Book your consultation Now and step closer to a pain-free active life. Know more about ReLiva Wakad Pune Clinic here. *Offer valid only on presentation of this event ticket.